What is the Green Laboratory Certification program? Members of any UW lab(including those in off-campus UW buildings) from any department can certify their lab. To apply for certification, lab members simply fill out the online application (this typically takes 20-25 mins). This short initial questionnaire allows them to see what steps they are already taking to operate sustainably and where they can improve. It addresses workplace practices in action areas such as energy use, chemical use, work-related travel, and more. 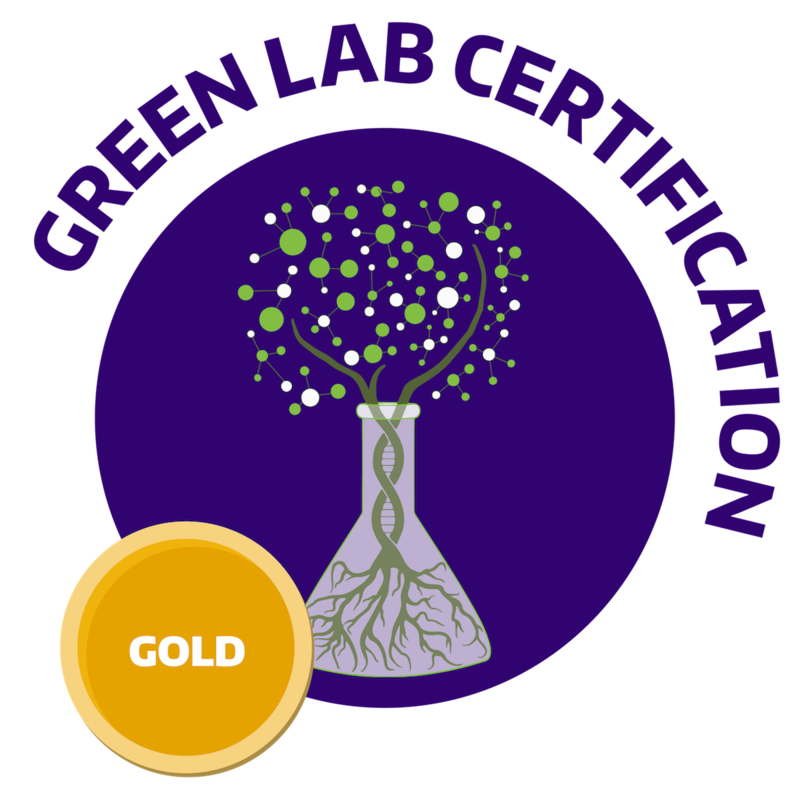 Why get Green Lab Certified? Laboratories are one of the primary waste generators at universities around the world. Using roughly 4 times more energy than office spaces of the same size, laboratories have an enormous impact on a university's energy use. With the University of Washington receiving the most grant money of any public institution in the United States - and harboring over 4,500 laboratories on campus alone - it is time for us to lead the way in implementing sustainable laboratory practices. In addition, UW's Climate Action Plan calls for the establishment of a department-level reporting tool (Strategy 2.3.1) and for the availability of general guidelines for UW faculty, staff and students (Strategy 7.4.2), both of which the Green Laboratory Certification Program supports. Join the nearly 90 labs already working to operate more sustainably! How does applying for certification work? Based on their responses to the initial questionnaire, labs will earn a certification score. The questionnaire calculates scores as a percentage, dividing the number of points a lab has achieved by the number of points the lab is capable of achieving. The questionnaire will not deduct points for failing to close a fume hood sash, for example, if the lab does not have a fume hood. Instead, the questionnaire will adjust the total number of points possible for the lab to achieve. Labs that earn a score equal to or greater than 55% will receive a certification: Bronze for a score of 55-69%, Silver for 70-84%, and Gold for 85%+. To remain Green Lab Certified, offices should update their initial questionnaire responses to reflect any sustainable changes made to lab practices over the past academic year. To learn more about the Green Lab Certification program, as well as resources and sustainable practices your lab can use, check out a past issue of the Green Labs Newsletter or join the Green Labs mailing list! 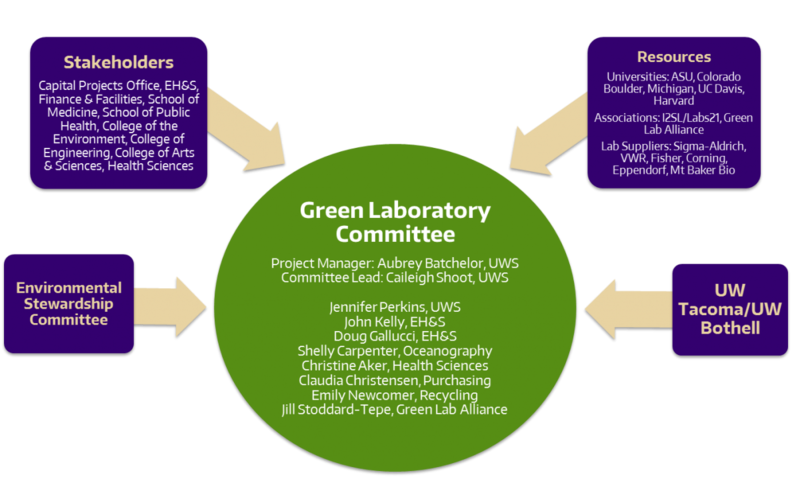 The Green Laboratory Program was initiated by UW Sustainability in an effort to minimize the environmental impact of laboratories at the University of Washington. The Green Laboratory Certification Committee formed in Fall 2012 to develop the certification criteria and create resources to assist laboratories in their green efforts. The committee was led by UW Sustainability's Certification Coordinator and was comprised of members with varied expertise in laboratory operations, environmental health and safety, recycling, purchasing, and supplies. UW Sustainability also worked with the Program on the Environment to offer ENVIR 480, a hands-on course focused on green laboratories. 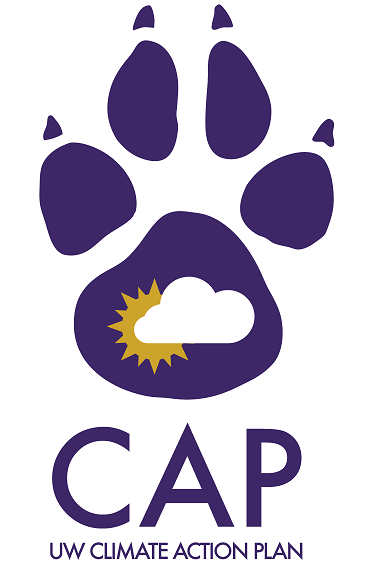 The student projects for the class - which included a shopping list of environmentally-friendly laboratory products, a newsletter, a logo and more - were later integrated into the certification program. The program was officially launched in Spring 2013 to help the university achieve its conservation goals as outlined in the Climate Action Plan.